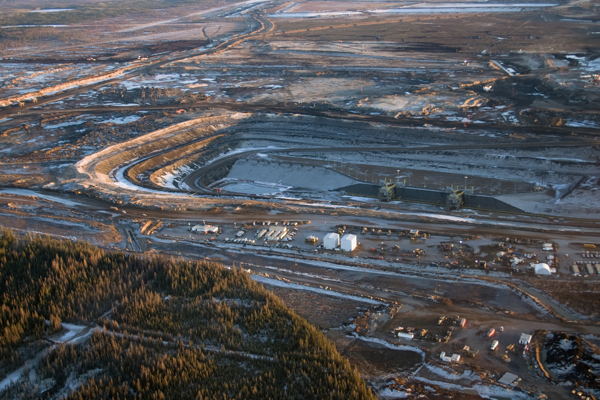 Oil sands development in Northern Alberta. 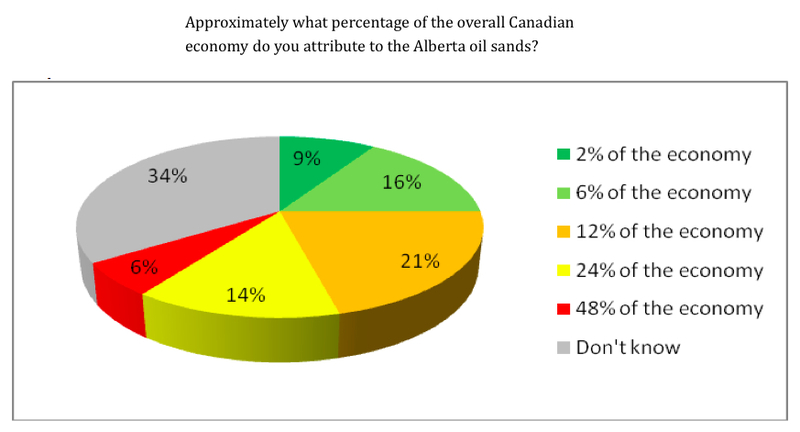 Most Canadians overvalue the contribution the oil sands industry make to the country’s economy, finding it hard to believe it only contributes 2% to Canada’s total Gross domestic Product (GDP), results of a recent poll published Friday show. According to the survey conducted by polling firm Environics for the environmental group Environmental Defence, 57% of Canadians think the industry’s impact is larger than what Statistics Canada shows. The study found that 41% of Canadians think the oil sands contribution to the world’s 11th largest economy is between 6 and 24 times higher than it actually is. Of those polled, 75% agree the country should shift its dependence on fossil fuels toward cleaner energy sources. 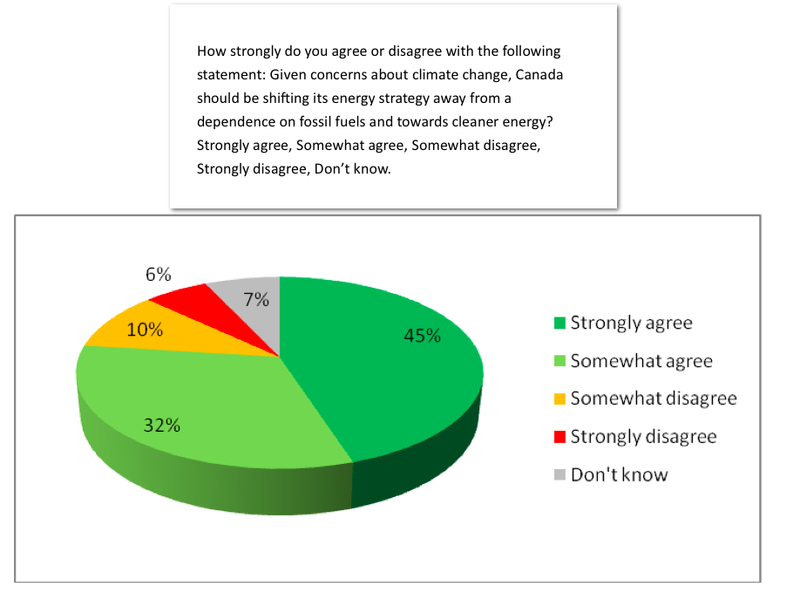 Source: Environmental Defence's poll, June 2014. "The numbers speak for themselves. Canadians are clearly ready for a safer, cleaner, more prosperous energy future," Tim Gray, executive director of Environmental Defence, said in a statement. “We are routinely told our economy will sputter, governments won’t be able to balance budgets, and social services will have to be sacrificed if we don’t triple the size of the tar sands as fast as possible,” he added. The industry, expected to provide about $79 billion in government revenue over the next two decades, is possibly the most controversial subject in Canada these days. Companies trying to develop, transport and sell Alberta's crude have faced fierce opposition from environmental and aboriginal groups. Efforts to transport the oil to US markets through the proposed Keystone XL pipeline have been stalled by the US government, activists and the US Environmental Protection Agency. “The [oil sands] are not the primary driver of our economy,” Gray insisted. “Their contribution is relatively small and certainly not sufficient to justify the risks of planned massive expansion,” he said in the statement. Meanwhile, petroleum producers and Prime Minister Stephen Harper’s Conservative government has been mounting a PR campaign —including its $24 million ad campaign in Washington— to build a better reputation for the billion dollar industry. According to the Federal government, companies plan to invest over US$610 billion (Cdn$650bn) in projects over the next decade.